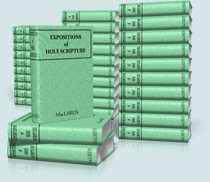 Expositions of Holy Scripture by Alexander MacLaren is collection of over 1,500 expository sermons arranged as a Bible commentary. Alexander MacLaren (1826-1910), a non-conformist Baptist, was called "the prince of expository preachers," a title he earned through his famous sermons during his lifetime as a minister in Southampton (1846-1858) and Manchester (1853-1903). 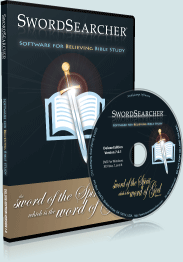 The complete Expositions is over 12,000 pages in print, but as a SwordSearcher commentary module you'll have fast access to his sermons by verse and passage reference. And as any other library resource in the software, Expositions can be searched instantly for words or phrases, and the relevant commentary sections for each verse are just a click away in the Bible margin. Expositions is also known as "Alexander MacLaren's Commentary" thanks to the original publication (over 30 volumes) in commentary form. However, though organized by verse, Expositions is teaching material. MacLaren's sermons usually take the form of three-point expositions.